A new undercover video of Planned Parenthood was released this morning, and it brings home in brutal detail how the organization profits by carefully dismembering unborn children (many of them, we now know, in their second or third trimester) so they can sell them to bidders in the abortion aftermarket. The newest video goes into more depth with a new eyewitness source describing the gruesome body-parts industry from the inside. 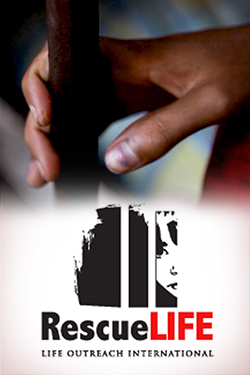 The first, second and now third video from the Center for Medical Progress presents the Republican party with both a moral imperative and a unique opportunity: Claim the undisputed moral high ground in the run-up to the next election, touch America’s heartstrings, and appeal to all that is decent while doing what is unquestionably right. It can shine a surgical light on the dishonesty, bone-deep ghoulish cynicism and moral squalor defended by leading Democrats. And having done so, it can defund and cripple an abortion business founded on racism and eugenics, one that gobbles up half a billion in taxpayer dollars, billions more in tax-exempt donations, and is still not sated. 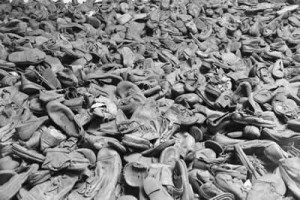 Oswiecim, Poland: Shoes of the people deported in Auschwitz concentration camp, Poland. It was the biggest Nazi concentration camp in Europe during World War II. No, Planned Parenthood cannot rest at using taxpayer money to target the poor, the black, the disadvantaged unborn in America and simply leave it at that. Whatever spirits are guiding it, they goad it to go even further, and profit from the tiny dismembered bodies of its victims by taking them for parts. 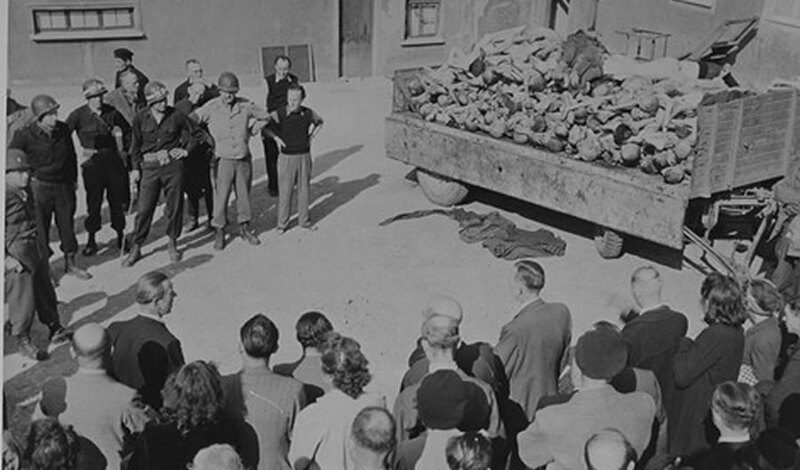 The sheer horror of the act makes us unwilling to face it, as Allied generals refused at first to believe what they saw when they liberated Nazi camps. But how else to explain those piles of carefully counted gold teeth, those shoes all neatly piled, lest anything go to waste? My father served under General Patton in 1945, and he remembered how Patton reacted: He rounded up all the law-abiding, deferential German citizens of the nearest town, and forced them to walk through the camps, to see up close and personal what their Fuhrer had accomplished. The Center for Medical Progress is emulating Patton, marching the flinching media through the medical waste bins and organ markets of America’s abortion industry. And Americans are following, tentatively, hoping that some rational explanation will be offered, so they don’t have to face the truth. The Republican Senate leadership is actively trying to cover up the truth, to throw procedural roadblocks in the path of pro-life legislators such as Senators Ted Cruz and Rand Paul who want to defund Planned Parenthood. Men like Mitch McConnell seem to hope this ugly issue will go away so they can get back to the real business of the Senate: passing empty symbolic votes opposing Obamacare, and greasing the tracks for that much beloved tool of government/corporate cronyism, the Export/Import Bank. You can always count on Congress’s Republican leadership to recognize an opportunity. They spot it with eagle eyes, then plunge their heads straight into the sand. But good men like Ted Cruz are grabbing the ostrich by the neck. He is holding his own party’s leadership accountable for the scandal of taxpayer funding for Planned Parenthood, and the truth is on his side. Even better, the truth is leaking out slowly, one nightmarish video at a time, and will go on leaking out over the coming days and weeks. And there’s nothing that the Democrats, or Mitch McConnell, or the mainstream media, can do to silence it. The truth about Planned Parenthood’s baby parts side business will lead to other truths, such as the truth about Margaret Sanger’s model eugenics laws, passed in 13 American states, which inflicted forced sterilization or castration on Americans who failed culturally-biased IQ tests. It sounds like a conspiracy theory, but it’s well-documented and regarded as settled fact among historians of the period, one conveniently left out of many high school and college American history textbooks. After the Nazi concentration camps were liberated, there was a war criminal, named Dr. Josef Mengele, who escaped justice at Nuremburg, fled to greener pastures and, as The New York Times has reported, prospered as an abortionist. That’s called coming full circle. Soon half of America will see Planned Parenthood not as a triage clinic for impoverished victims of the sexual revolution, but for what it really is: a spectacularly successful eugenics organization, one that has managed to camouflage itself for decades and now profiteers off the organs of our most vulnerable and innocent. The question of the hour is whether Mitch McConnell, John Boehner and the U.S. Congress will respond with even the most modest of steps: merely ceasing to take dollars from the pockets of an outraged America and sending them to the abortion body shops of Sanger’s organizational descendants.